Acupuncture is a safe and effective holistic system of healing originating from China that has been practiced for over two thousand years. By inserting very fine needles into specific points on the body, acupuncture activates the innate qi (life force) and helps the body to heal itself in a holistic and natural way. Acupuncture relieves pain and treats disease by restoring the normal flow of energy in the body. According to traditional Chinese medicine philosophy, good health depends on maintaining strong vital force (Qi) and maintaining balance between the dynamic polarity of Yin and Yang energy in the body. Illness can arise when the Qi becomes weak or blocked, or Yin and Yang become out of balance. Acupuncture can help to enhance our vital force and remove blockages in the flow of Qi within the meridian system that may be causing pain or discomfort. In this way acupuncture can successfully resolve pain and speed the healing process. It can help to regulate hormonal imbalance, reduce allergy symptoms, reduce anxiety, and treat a wide variety of common health problems. Many doctors and physical therapists will recommend acupuncture treatment for pain management, sports medicine, personal injury, infertility, prenatal care, anxiety, allergies and many other conditions. Acupuncture came to Japan from China about 1500 years ago. Over the centuries, Japanese practitioners made great adaptations and innovations to the practice of acupuncture. Japanese acupuncture has all the benefits of Chinese acupuncture, and is known primarily to be gentler in approach, yet quite dynamic in action. Finer needles are used, and insertions tend to be more superficial than in Chinese systems. Japanese styles have been influenced by a tradition of blind physicians as well as the philosophy of Zen Buddhism. Moxabustion is a traditional Asian therapy which consists of burning a tiny amount of a special herbal preparation of Mugwort (Artemesia Vulgaris) to stimulate acupuncture points and meridians. This therapy has been shown to be extremely effective in the treatment of many disorders including joint pain, fatigue and weakened immunity. 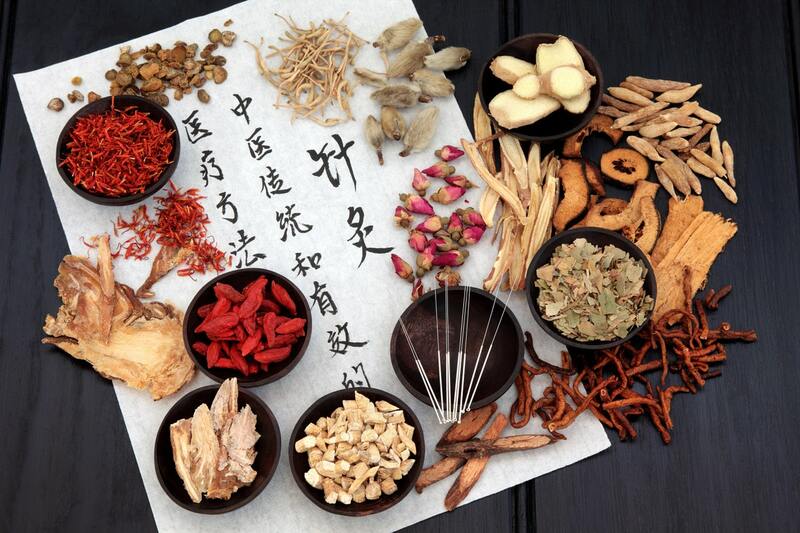 Herbal medicine Robert has been trained in both Chinese and Western herbal medicine. In his experience herbal medicine and acupuncture work together in a synergistic combination to facilitate deeper healing. Often, a customized herbal program will be prescribed to strengthen and balance your body and address your current symptoms. Robert uses only the highest quality herbal preparations and he guarantees that all of his herbal prescriptions meet the highest safety and quality. Various herbs used in traditional Chinese medicine. How does acupuncture work, and why is it effective? Studies have shown that acupuncture helps stimulate the body's own pain relieving, opiate-like chemistry. In many studies acupuncture has been shown to have an anti-inflammatory and pain relieving effect, as well as slowing the pulse rate, lowering blood pressure and relaxing the central nervous system. Recently published research in the Nature Neuroscience journal correlates acupuncture stimulation and the body's natural secretion of adenosine, a neuromodulator with anti-nociceptive (pain-inhibiting) properties. Articles: Needling adenosine receptors for pain relief , and Adenosine A1 receptors mediate local anti-nociceptive effects of acupuncture. What are acupuncture points and meridians? What is the difference between acupuncture and acupressure points? The acupuncture point and meridian system is a map of the energy flow in the human body according to the principles of Chinese medicine. The meridians correspond to different organs and energy systems in the body; the points are places on the meridian where the energy can be accessed and utilized for healing. Acupuncture points can be used to treat specific organs and conditions further on down the meridian, or they can be used locally to treat pain, inflammation, and tightness in the muscles. Through years of study of the traditional acupuncture meridian system, a trained acupuncturist will know the exact locations of over 350 acupuncture points and how to select the best points and techniques for any given condition. What exactly is involved in an acupuncture treatment? 2) Examination of the tongue. The tongue is a window into the environment of the body and shows us many things about the current state of health. A versed practitioner is able to determine the patient's internal state by examining the shape, size and color of the tongue body, as well as the thickness, color, or absence of coating. 3) Listening to the pulse. In Chinese medicine there are at least 20 commonly identified pulse qualities. By feeling the rate and overall quality of the pulse, such as "hard" or "soft", "choppy" or "wiry", "superficial" or "deep," a practitioner learns more about the patient's health and /or the state of their illness. 4) Abdominal diagnosis: Additional information about the state of various organ systems can be revealed through palpation of the abdomen. The traditional diagnostic assessments are used to ascertain which organ systems need the most support or adjustment. After the diagnostic assessment the treatment is divided into two sections: the first part is known as the root treatment, and second part is referred to as the branch or symptomatic treatment. The root treatment focuses on strengthening and balancing the underlying organ system pattern and the vitality of the patient. During the latter, or branch treatment, is when the patient's symptoms are addressed. Does acupuncture hurt? Will I bleed? 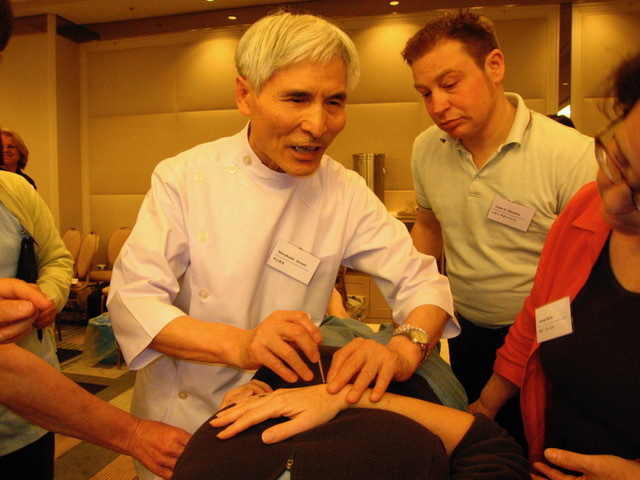 Robert combines Toyohari (Japanese) and Traditional Chinese acupuncture techniques. In the Toyohari Japanese acupuncture system, a very gentle "touch needle" technique is used: the needle touches the skin but is not inserted. For symptoms of pain and inflammation needles are generally inserted, but patients typically experience little to no pain or discomfort. Acupuncture rarely 'hurts'. Patients commonly experience mild sensations that typically range from a very slight pinprick, mild tingling, or a slight dull ache where the needle is inserted. Occasionally a needle may hit a 'zingy' spot, but the sensation is usually brief. Acupuncture almost never causes any bleeding; if bleeding does occur it is typically much less blood than an average pinprick. Patients may or may not need to disrobe, depending on the location of the problem. For instance, in cases of back or Sciatic nerve pain, the back and buttocks may have to be exposed to treat the problem. How soon can I expect results from an acupuncture treatment? Are results permanent or cumulative? Some patients may report immediate improvement in symptoms, in other cases it may take several sessions. Generally a significant and lasting improvement is experienced after 4-5 sessions. Results tend to be cumulative and typically will take about 3-5 sessions to resolve an acute issue, and roughly 10-12 sessions to resolve long standing ailments. "Highly recommended! I have seen Robert for some time now at his Seattle acupuncture clinic and I can recommend him wholeheartedly. I have had chronic lower back problems for many years. Pain that is usually aggravated by business travel. Initially, I was skeptical about trying acupuncture but the proof is in the pudding. I felt almost immediate relief and my lower back pain is basically gone. I now come for "maintenance" visits once every two months to make sure that I stay pain free and comfortable."